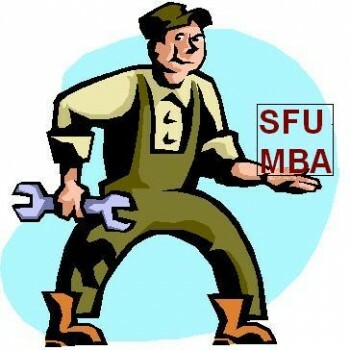 Currently, the Master of Technology (MOT) MBA at SFU Business also offers an annual “Tune-Up” for their alumni. The MOT and the EMBA are both long-time programs at SFU Business, with the SFU EMBA as the longest standing Executive MBA program in Canada. Ideally, in a number of years the newer 1-year full-time MBA program (currently educating its 3rd cohort) will have an MBA refresher course similar to the MBA “Tune-Up” that currently exists for the other alumni. These day-long or half-day seminars, when run in tandem, provide an excellent opportunity for SFU MBA Alumni from all graduating classes to connect and network. Taking your MBA at a closely knit and well connected school such as SFU provides more than just an educational foundation, it is truly an instant network. The reunion opportunity mixed with seminars that overview current business research encourages alumni to share ideas and experiences. As most MBA students and alumni will tell you, one of the most valuable resources that comes from an MBA is the network that you immediately join as an alumnus from your business school. The SFU MBA “tune-up” is just one of many alumni events that help to nurture this personal business network. For more information on any of the SFU MBA programs, feel free to click in the links located to the right of this article.